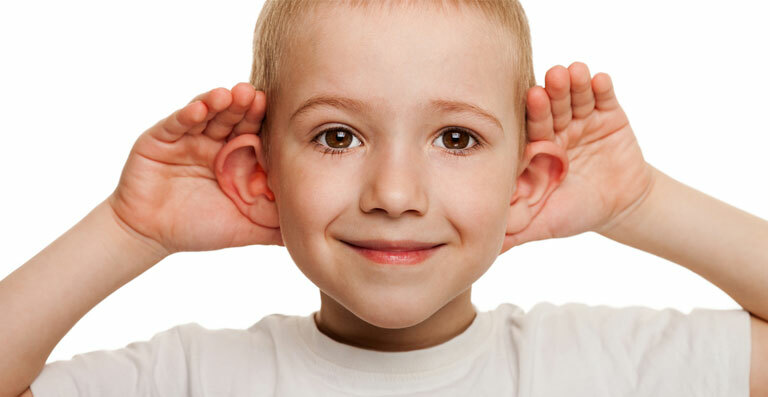 Many children have difficulties with auditory processing. They may find it hard to remember details (auditory memory). They may find it hard to listen to speech when background noise is present. They may not be able to make sense of the words they hear. They may find it difficult to interpret instructions that require inference, prediction, problem solving or sequencing. If you answer “yes” to one or more of the following questions, your child could benefit from the assistance of a speech pathologist. Does your child require several repetitions of an instruction before doing what you or the teacher says? Does your child find it difficult to understand the words said to them? Does your child find it hard to remember long instructions or forget details in a story? Does your child often stare at you blankly when you ask them to do something or wander off to do as you say but forget what the instruction was before getting there? Does your child misinterpret concepts like in, on, under, in front of, behind? Does your child struggle to get the meaning of words when something is described to them? Does your child fail to comply with the teacher’s explanation of what needs to be done and require frequent support to complete tasks in class? Does your child find it difficult to make inferences, predict outcomes or provide solutions to everyday problems? Children who experience these difficulties are likely to find it hard to learn new skills. They not understand what they need to do. They often forget the details of stories or lessons. They might even seem to be defiant or naughty at home when in actual fact they are simply not getting the gist of what is said to them. At Stirling Speech Pathology all Speech Pathologists can assess your child’s auditory processing or comprehension skills and determine whether your child fits within age expectations. We can enable your child to learn active listening skills. We can help your child to acquire strategies to assist with memory. Your child can learn to grasp the meaning of concepts. If you have any concerns for your child in these areas, call to make an appointment at Morley 08 9275 7118, Armadale 08 9399 8547 or Ellenbrook 08 6296 2726 or click here to request a call back or to make an inquiry.